We’re certainly in favor of “kicking back” and having a little fun on St. Patrick’s day, a celebration of the devastating effects of alcoholism. But we hate to see anyone fall for click-bait articles concerned more with attention-grabbing headlines than delivering on promises. Example A: today’s story in normally reliable angel news outlet USA Today, headlined “This St. Patrick’s day themed chip and dip recipe is all you need in life.” As is often the case, the problems here start at the very top. Before we’ve read a single paragraph, we, the diverse audience, have already been assured that the upcoming chip and dip recipe will be all that we need in life. Now imagine that the reader is a cancer patient in dire need of chemotherapy. Will this recipe include a heady cocktail of cancer-fighting poisons? I’m afraid not. As you scoop up dripping chile-studded melted Velveeta with pan-fried green tortilla shamrock chips, your physical hunger may temporarily be sated. But your hunger for safety, love/ belonging, esteem, self-actualization, and self-transcendence—the most important elements of Maslow’s Hierarchy of Needs—will remain unquenched. 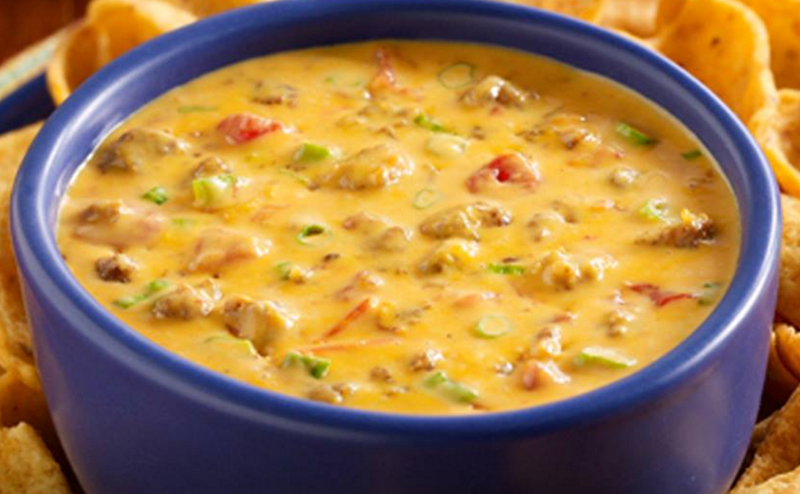 Can one really “love” queso? Can one really argue that the purchase of a shamrock-shaped cookie cutter is a meaningful step on the road to becoming the self that one must become? I’d be up for listening to a debate on these topics among expert psychologists, sure. But speaking to laymen on the internet, I’m obligated to be up front about the fact that the American Medical Association has said absolutely nothing about Pot o’ Gold Queso’s testable value as a therapeutic program. And what of the leftover spinach tortilla after the shamrock chips have been cut from it? Wasteful. We understand that news is a hard business. It’s not easy to walk the line of accurately informing the public while keeping them entertained. But this is a solemn trust that we agreed to when we entered journalism. Before you give the USA Today St. Patrick themed chip and dip recipe a click, be warned that its bold claims are not backed up with hard evidence. If, in fact, you find that all you need in life is a fried shamrock chip covered in Velveeta to eat while blind drunk in an awful bar somewhere in Queens, surrounded by home subscribers of the New York Post, count us among those who will breathe a sigh of relief, because we hope in all circumstances for journalism’s claims to be validated. We are simply saying that we cannot vouch for such claims in advance. And because our job is to protect consumers by policing the media for the cracks that form on the surface of Unfiltered Truth, we felt professionally obligated to write our own story—the one you are reading now—to correct the record. Perhaps you never would have read the original, questionable story in the first place. If so, count yourself lucky. Do not, though, use that fact as an excuse to moan and complain about the fact that you are now reading our story about the original story. In the business of consumer protection, even a small handful of people who would have been victims outweighs a much larger pool of people who may have continued on blissfully unaware of the journalistic malpractice being perpetrated upon unwary consumers elsewhere in the media universe. In a fundamental sense, we are all in this together: readers, citizens, consumers of information. The occasional need to indulge a fact check of an unsubstantiated piece of puffery is a small price to pay for knowing that there are professionals working day in and day out to ensure that your hopes for problem-solving dip recipes are not shattered on the rocky shoals of fried shamrocks. Our labors require neither plaudits nor jeers. We require only the silent appreciation of those that we know we have helped—out there, among the rolling fields of America, unheard, unseen, but with us, in the spirit of unity, in the spirit of common humanity, and in the spirit of love.